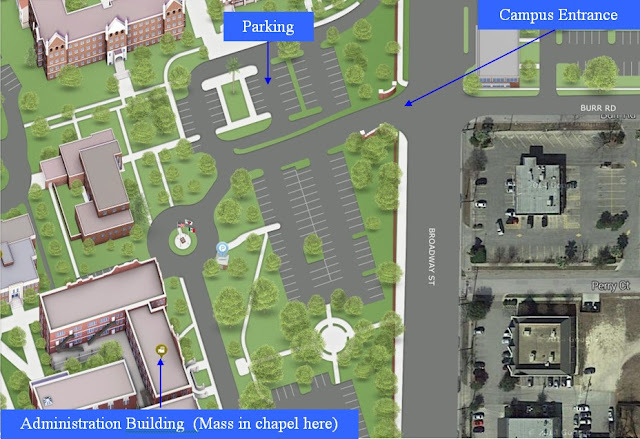 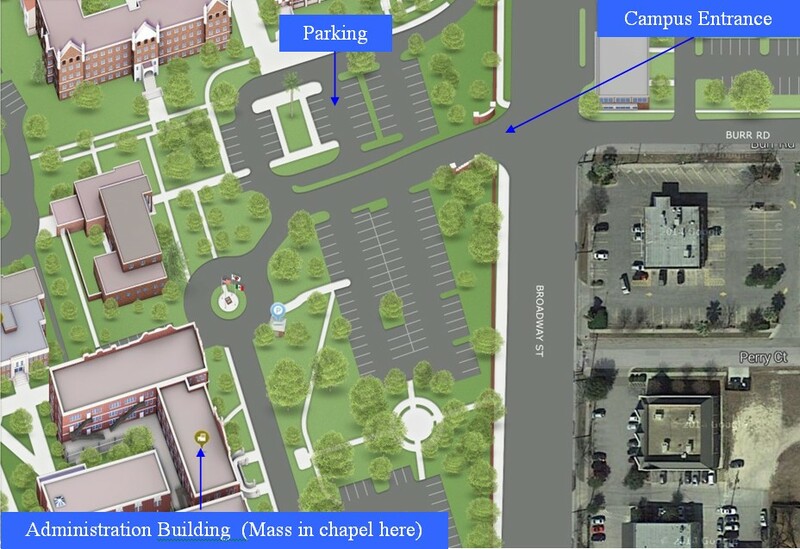 Mass will be in Our Lady's Chapel in the Administration building. 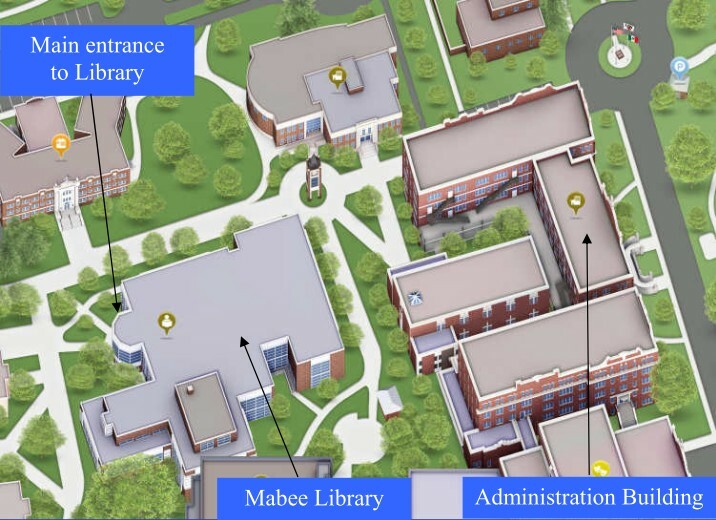 The meeting/presentation will be in the Library Auditorium on the first floor of the Mabee Library in back of the Admin building. 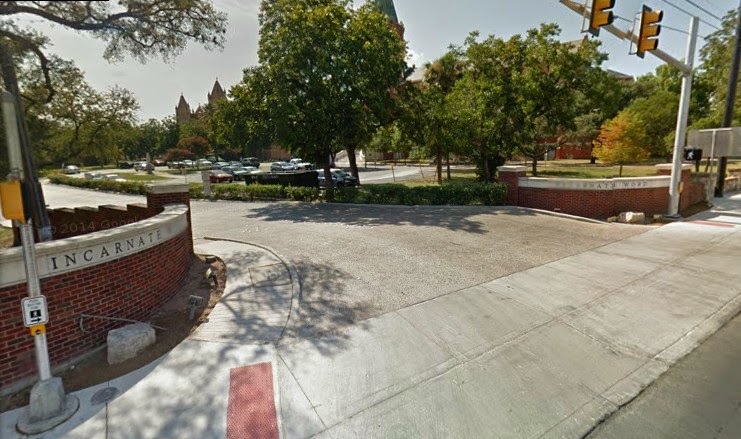 three blocks north of Hildebrand.